DDC Laboratories India has opened a sample collection center in Baramulla. DNA Test in Baramulla, Jammu & Kashmir now can be done effortlessly. Baramulla is located on the banks of river Jhelum, downstream from Srinagar. A DNA test is gaining acceptance since it is the most staunch method of human identification. The cops and other administrative departments are finding it of great help. We have solved many pending cases with ease by a simple DNA test. A DNA test can also be done for peace of mind, immigration, ancestry test and many more. We also consist of a large portfolio of tests including DNA paternity testing, maternity testing, sibling testing, Kinship testing, missing parents testing, body identifications, Immigration DNA testing and DNA profiles. We provide reports via email and courier in 3-5 business days. Our results are from AABB Certified laboratory, which makes it reliable. Home Sample Collection Facility is also available and our DNA testing services are affordable. 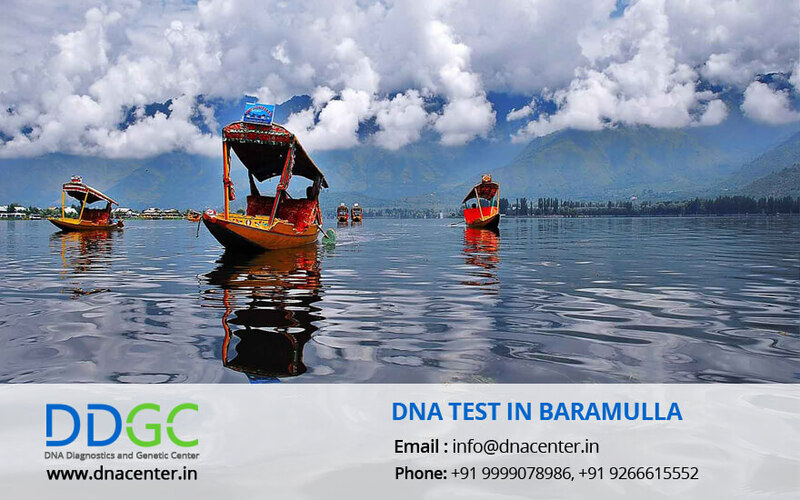 For any type of DNA Test in Baramulla, Jammu & Kashmir, please fill the below form and our executive will contact you. For further queries give us a call at: 7042446667 or whatsapp us on 9266615552.